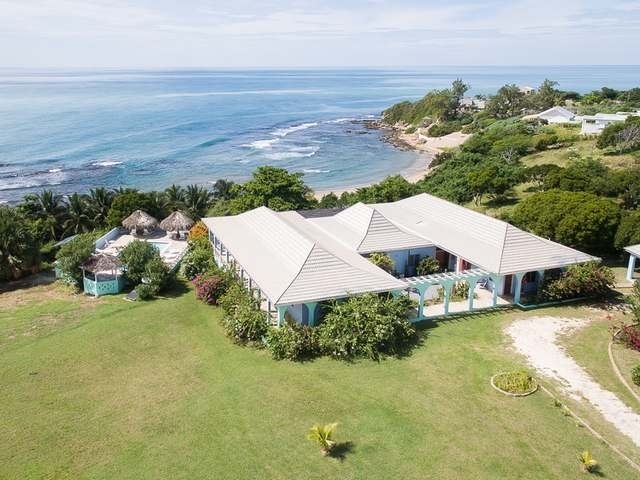 A first in upscale offerings for Treasure Beach, we present this award-winning beachfront villa with 6,600 square feet under roof. 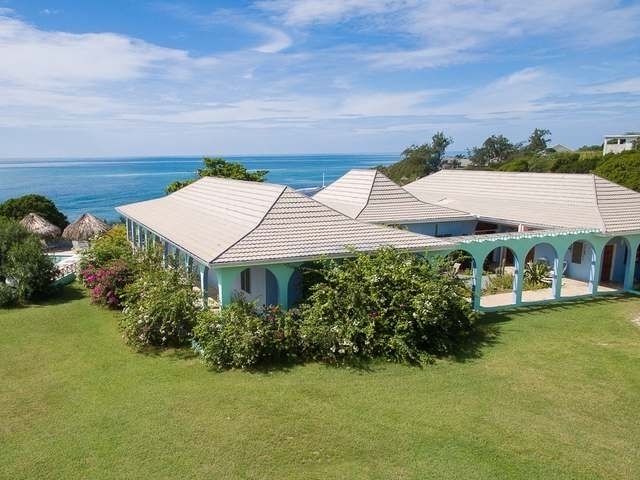 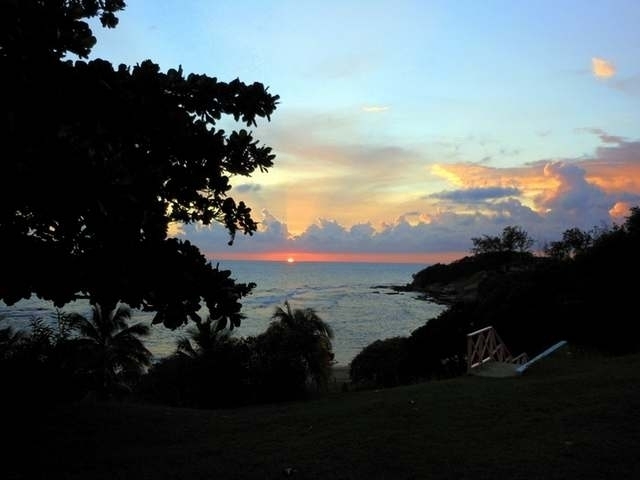 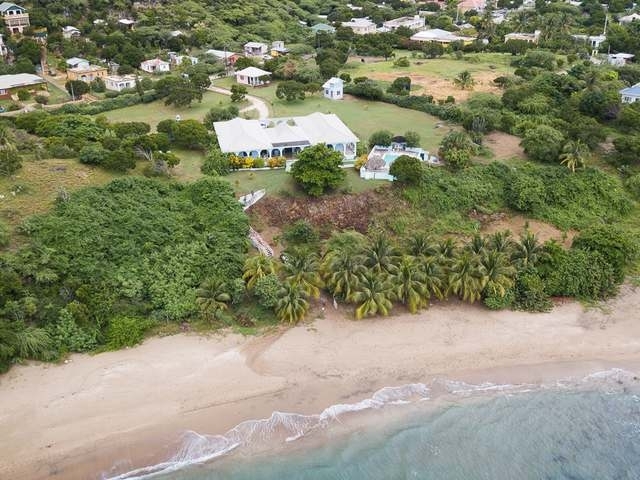 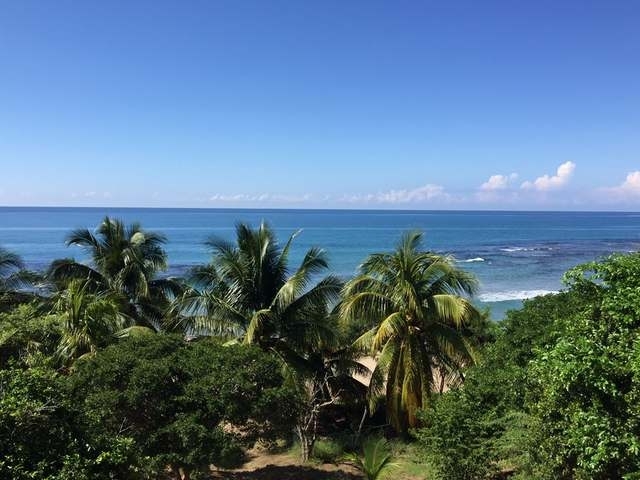 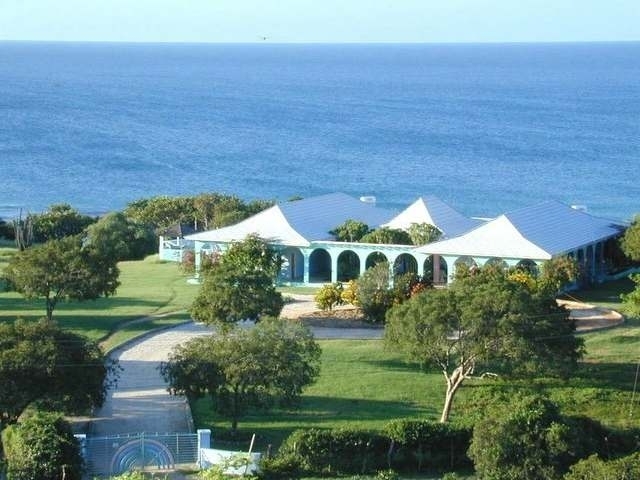 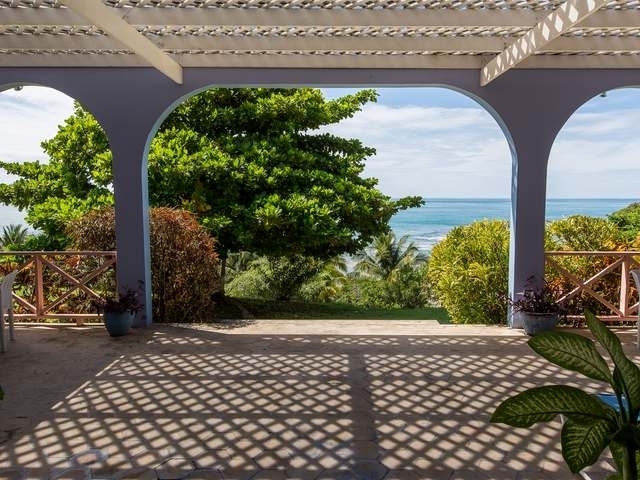 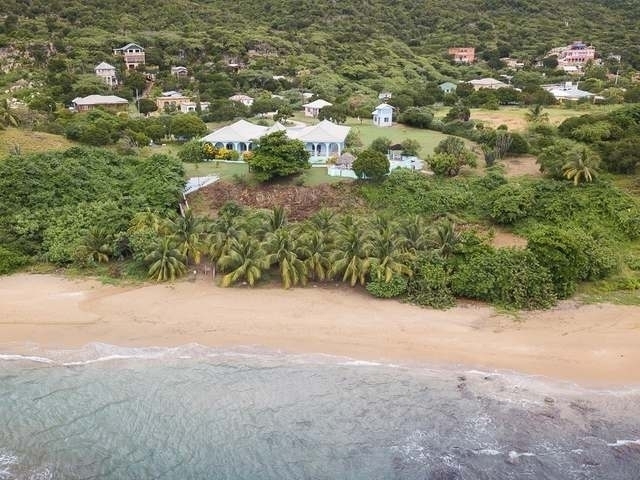 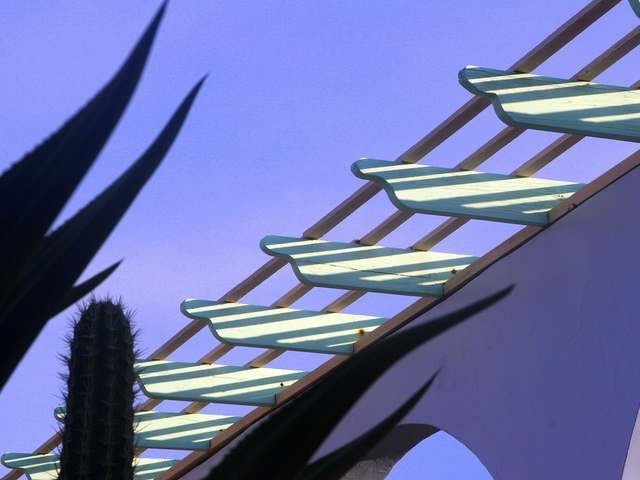 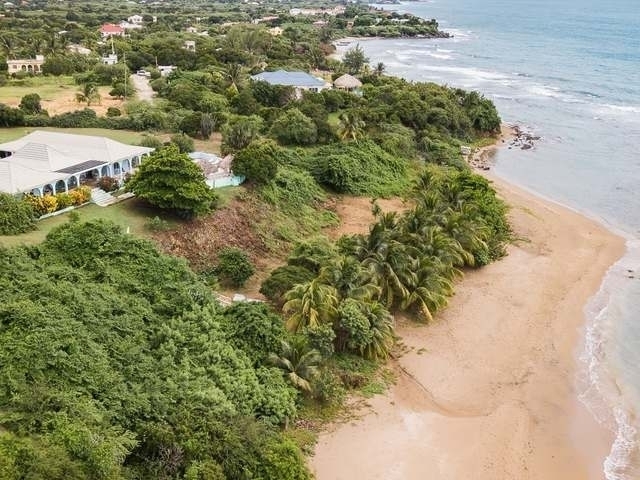 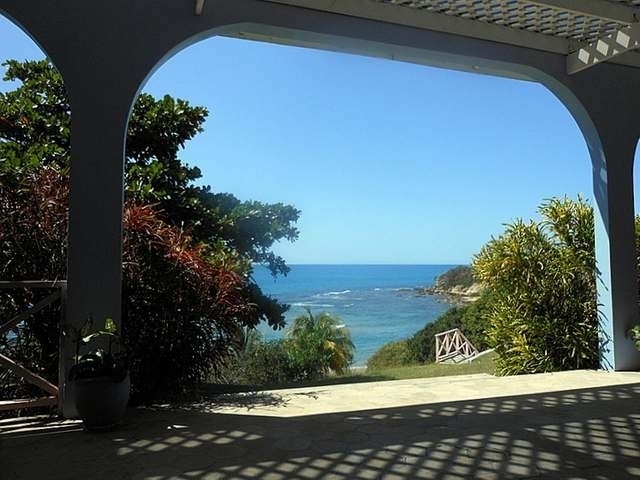 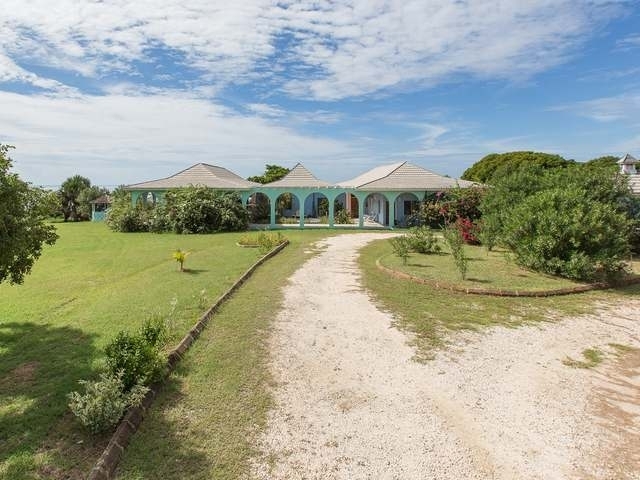 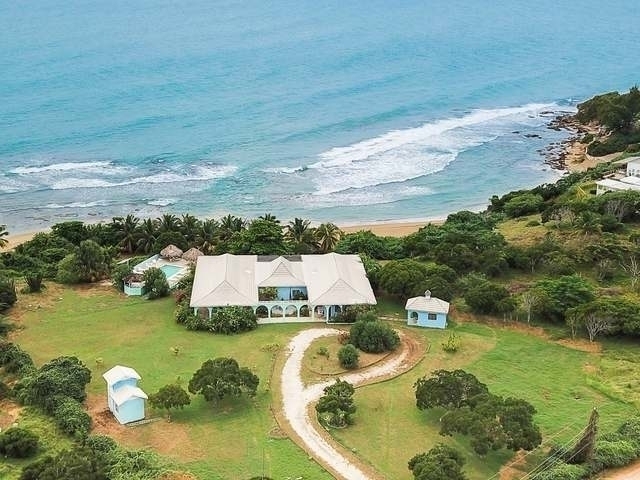 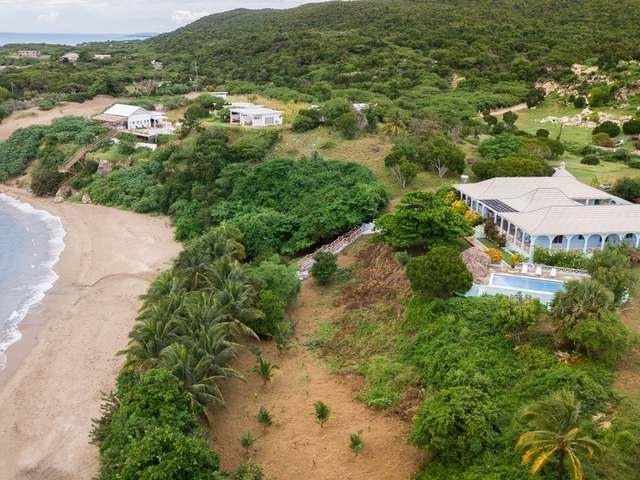 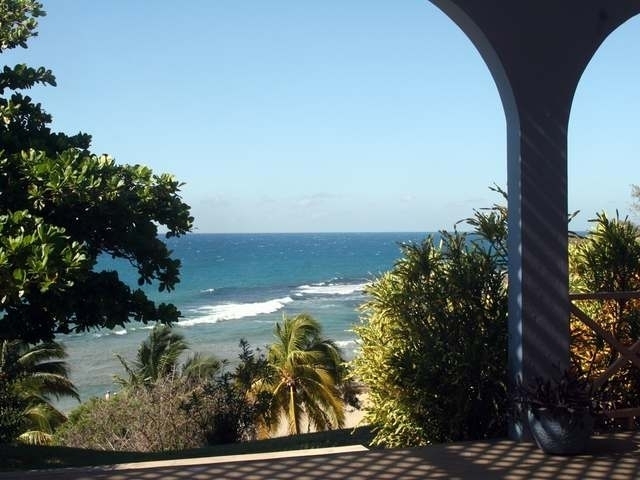 This artfully designed, meticulously constructed, and beautifully maintained 5- bedroom, 4-1/2 bath beachfront villa sits on 5.6 exquisite, private acres (most elevated), with 440 feet of beach. 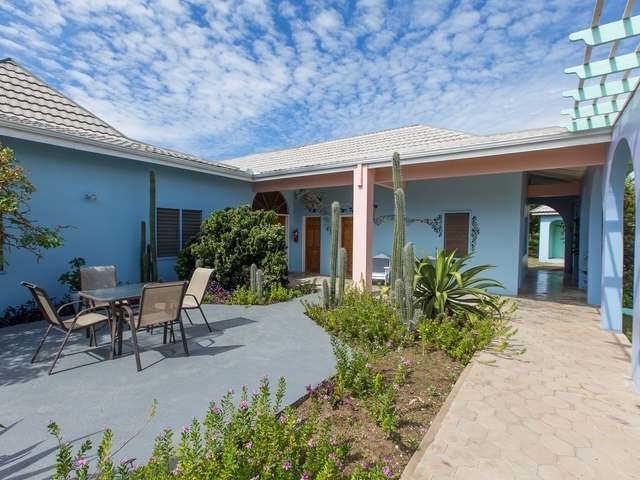 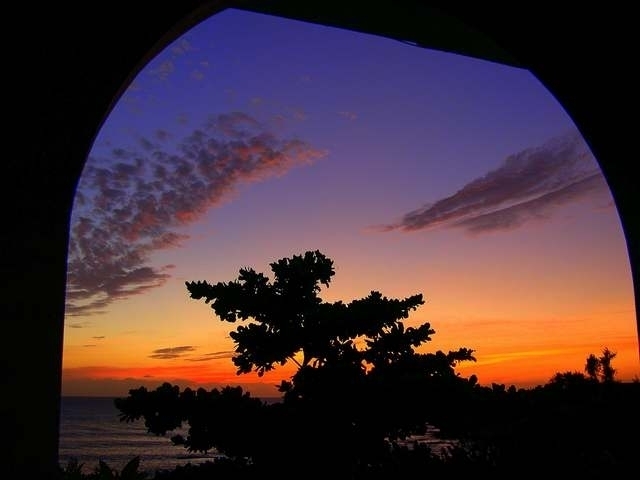 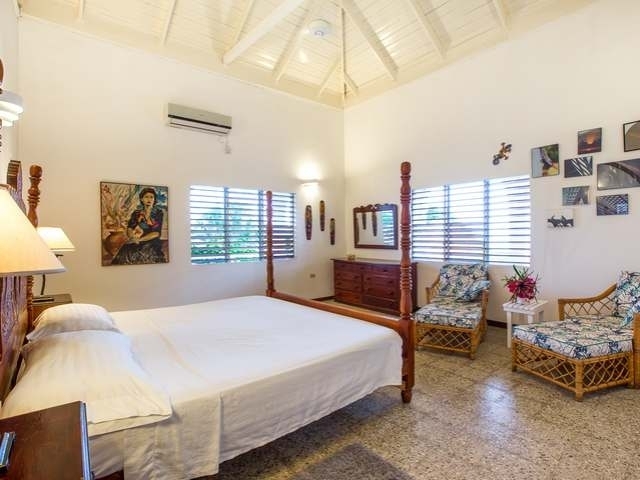 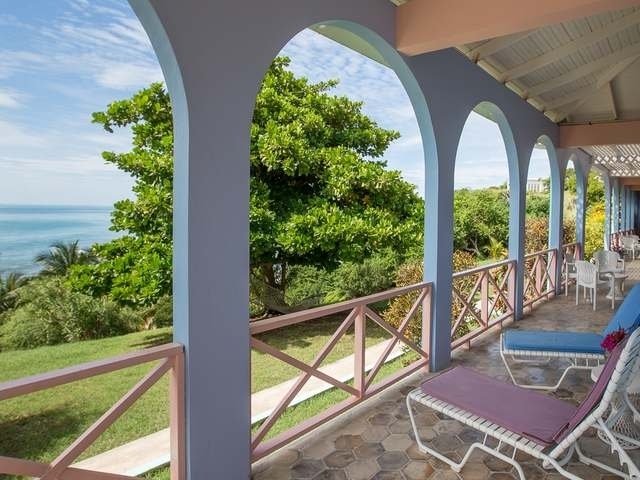 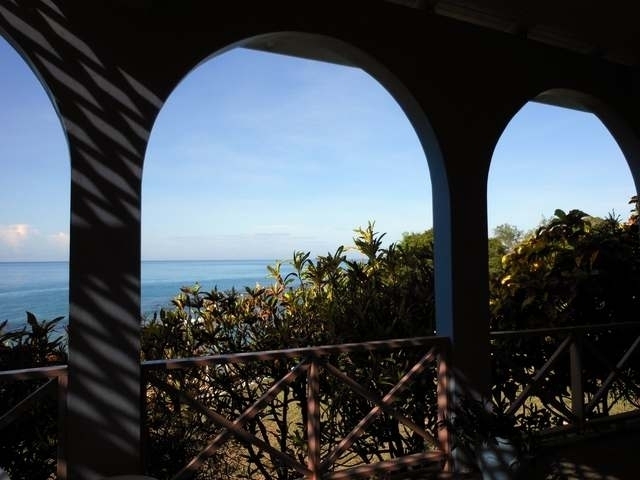 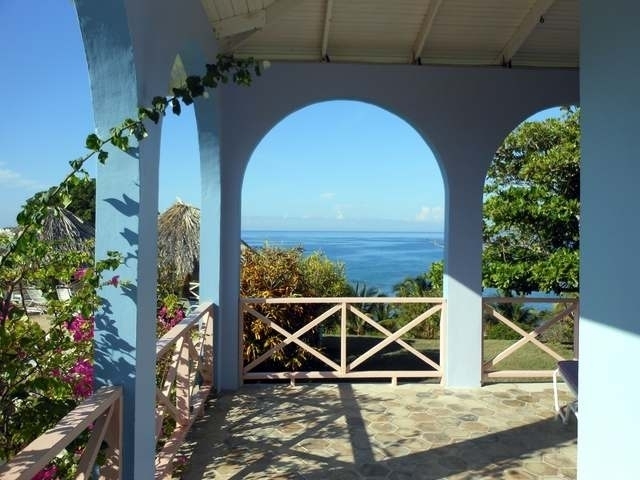 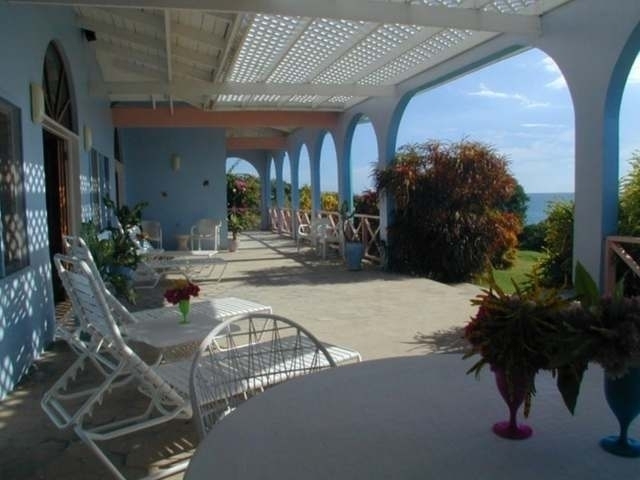 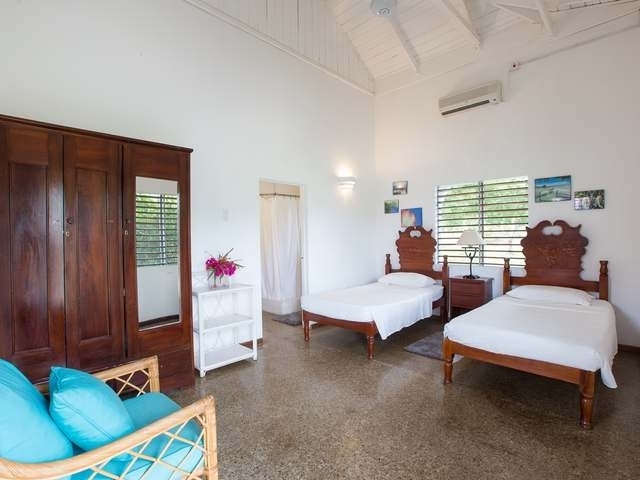 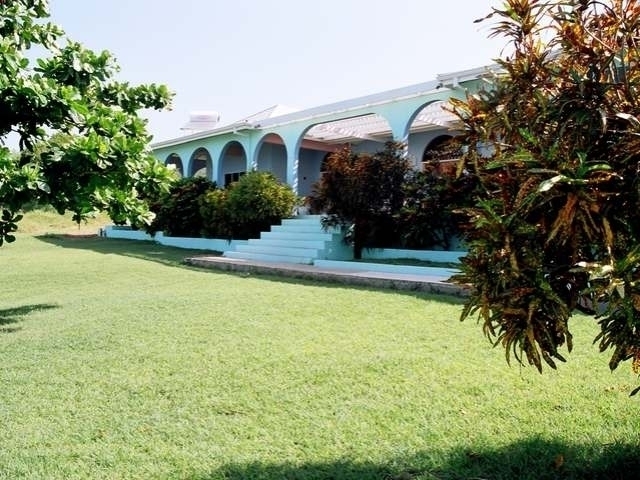 Rainbow Tree Villa, overlooking the Billys Bay Beach, is uniquely positioned to capture breathtaking views of the Caribbean Sea. 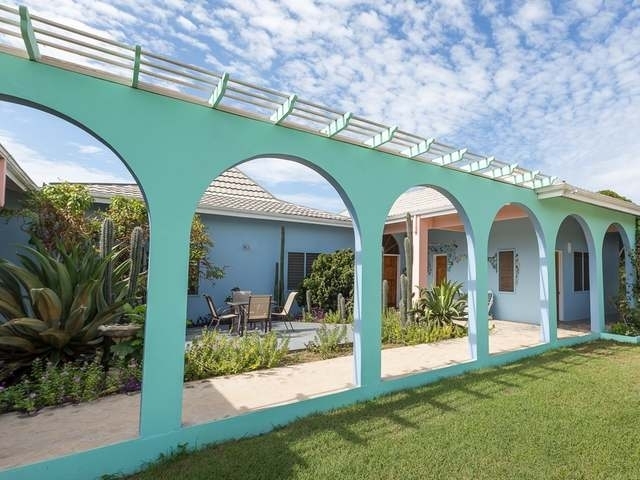 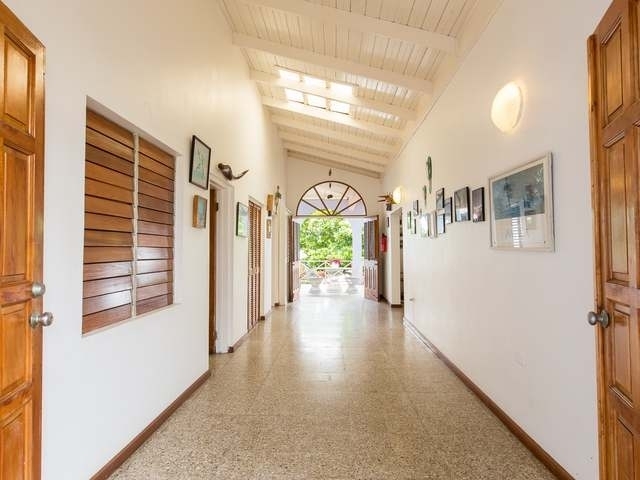 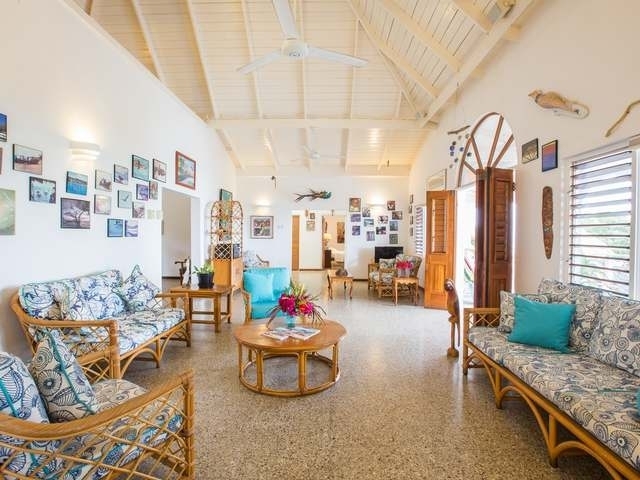 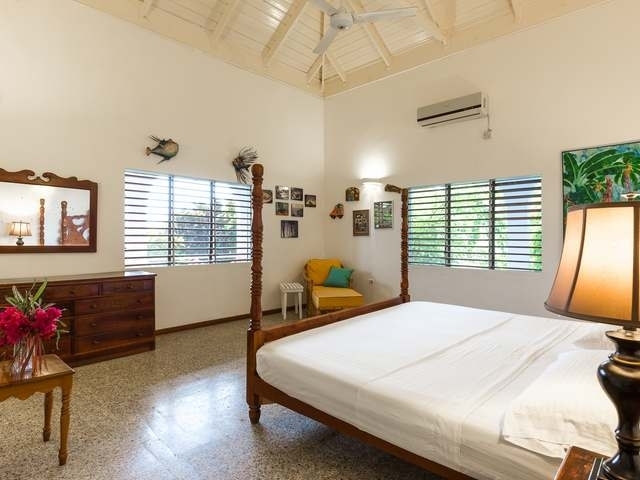 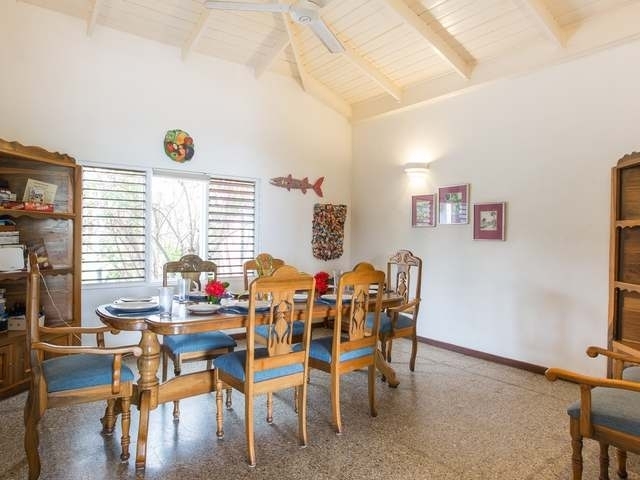 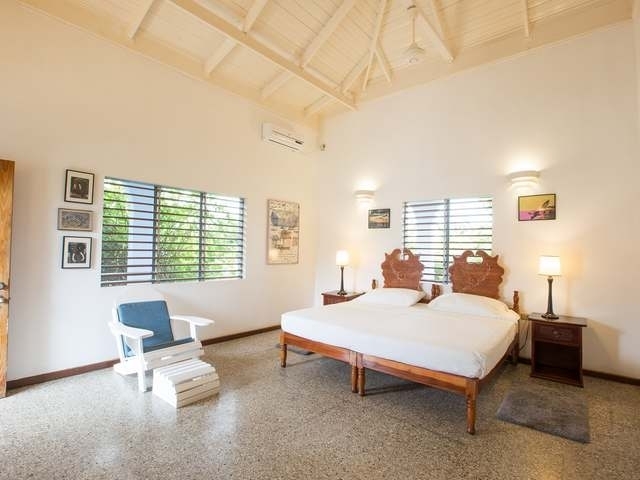 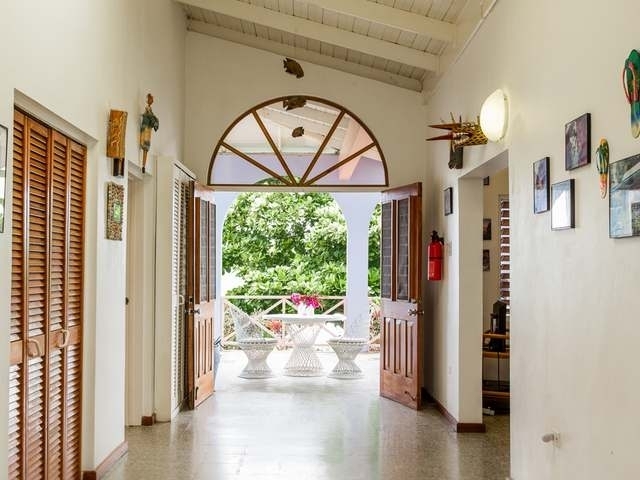 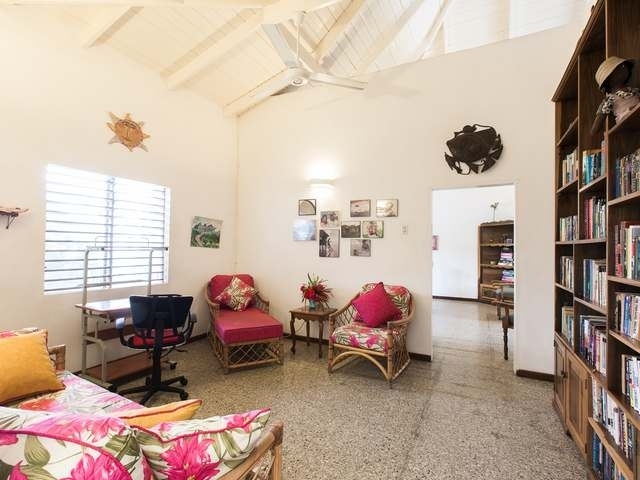 Boasting 17-ft cathedral ceilings, louvred windows, and a wide wrap-around verandah, the home is light and airy with constant sea breezes. 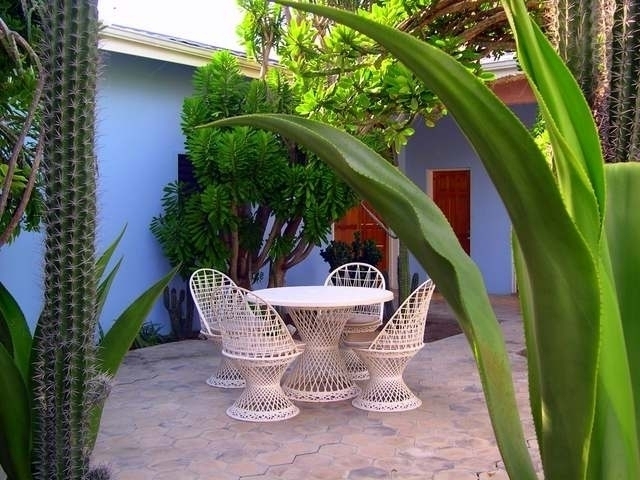 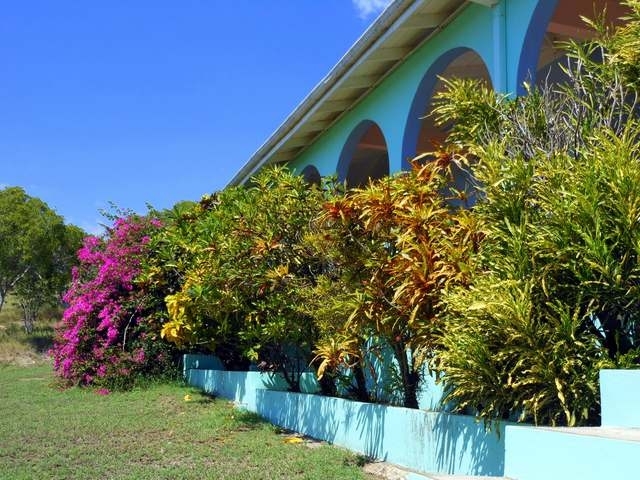 The well-manicured grounds are rich in tropical fruit trees and flowers. 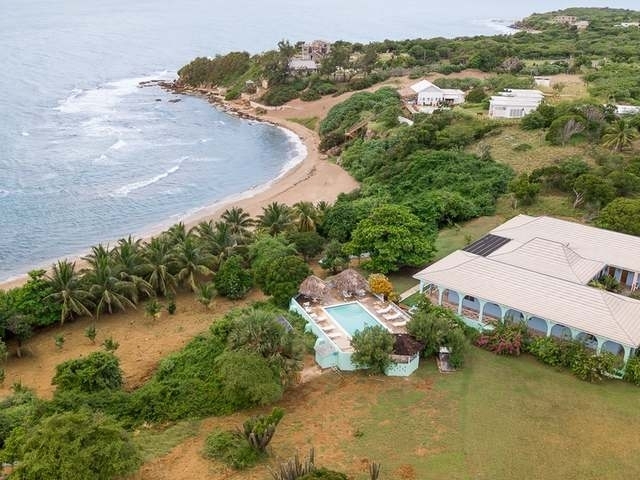 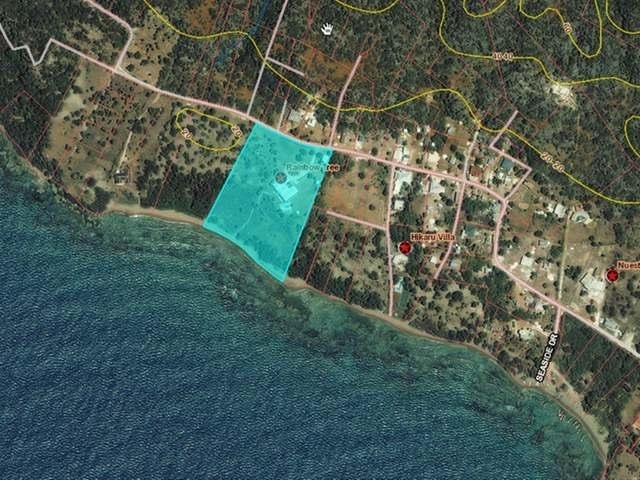 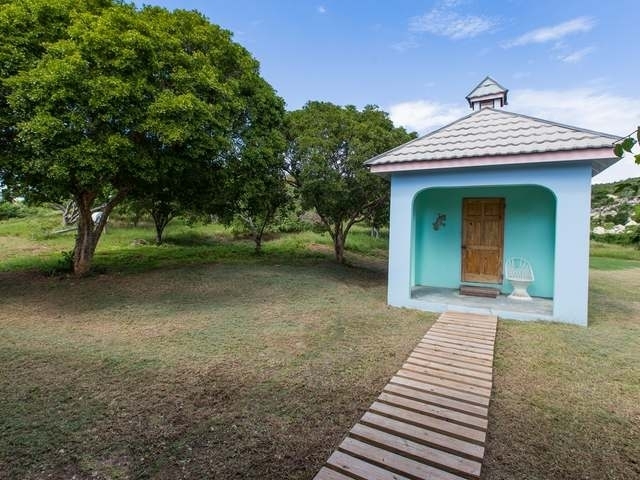 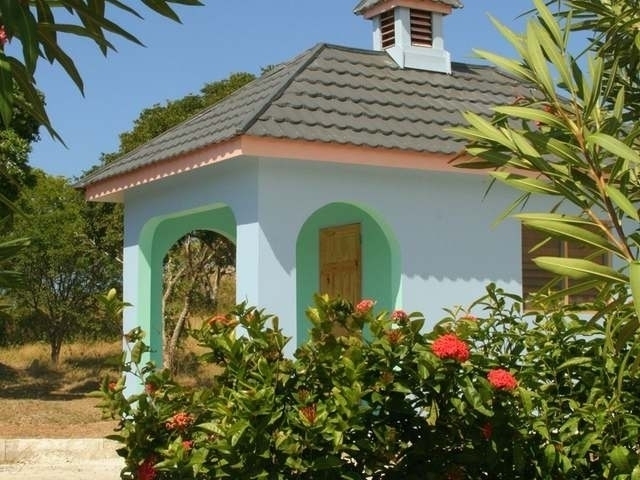 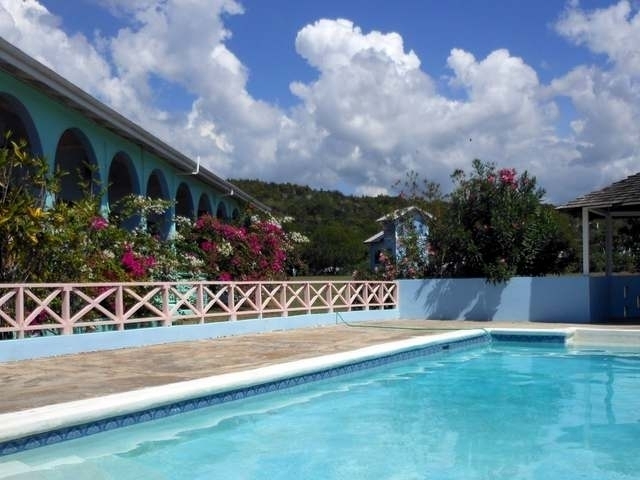 A swimming pool, staff cottage; multi-purpose tank, tool, and generator house; huge underground cisterns; and smoke house/kitchen augment this coveted villa. 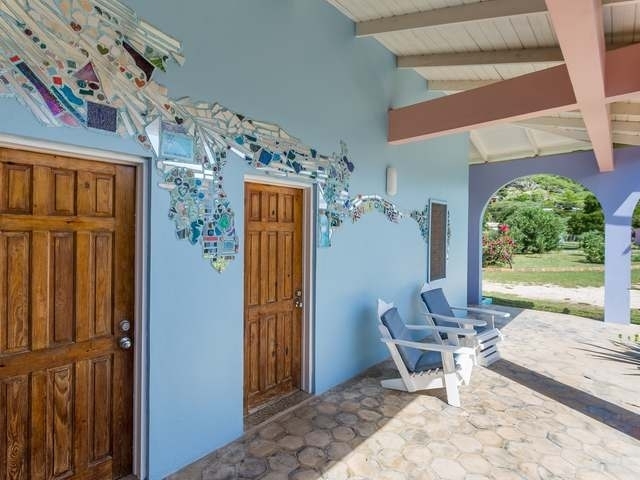 Rainbow Tree is within walking distance of bars and restaurants. 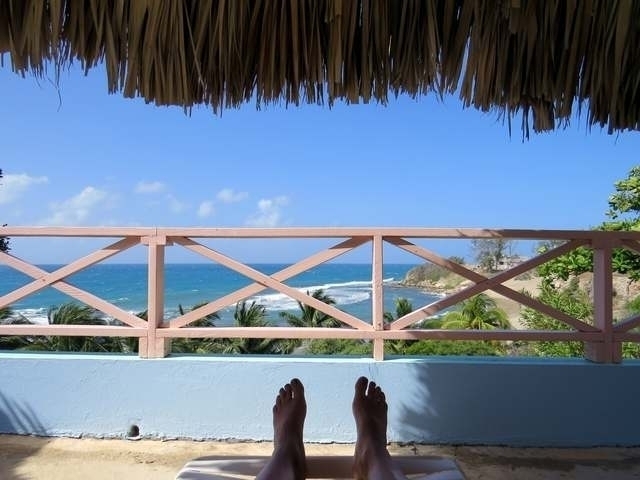 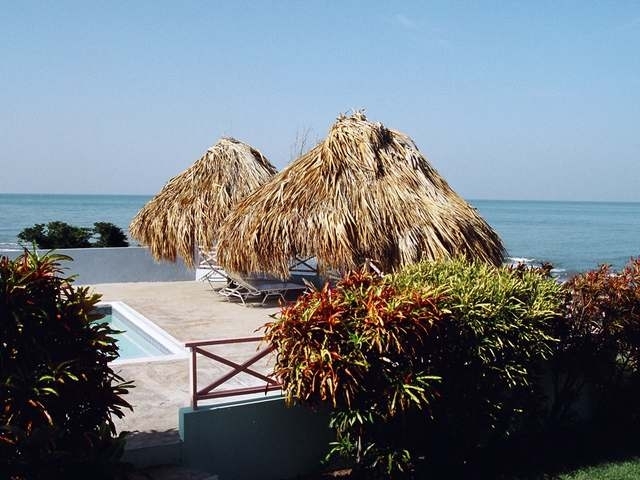 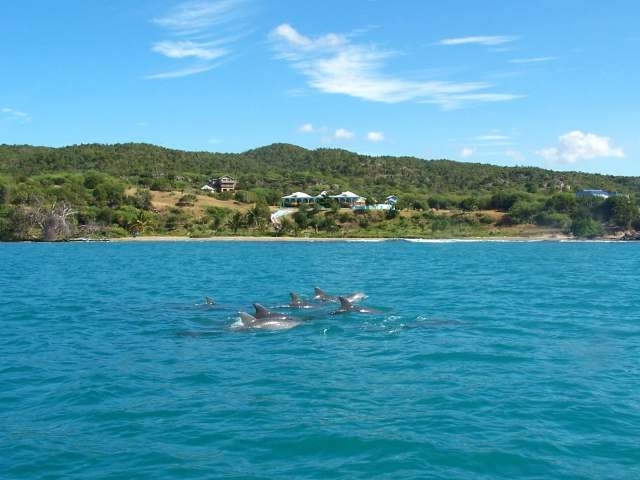 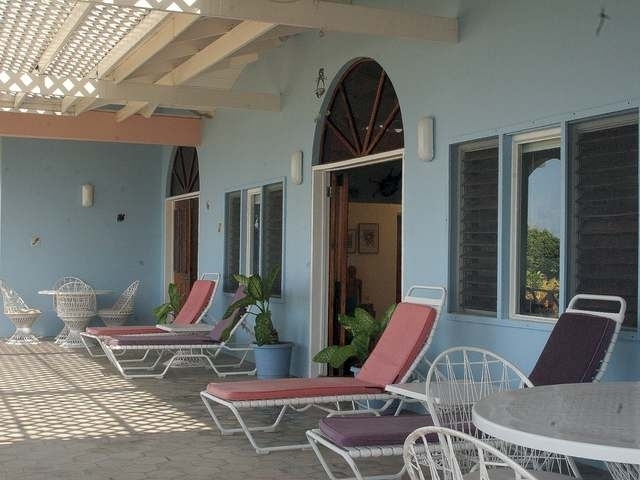 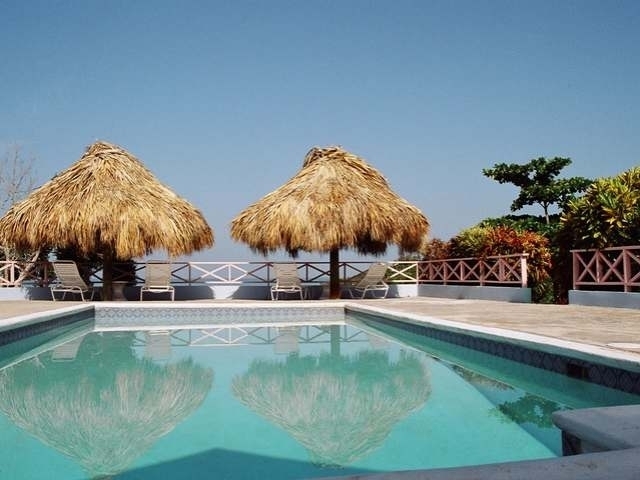 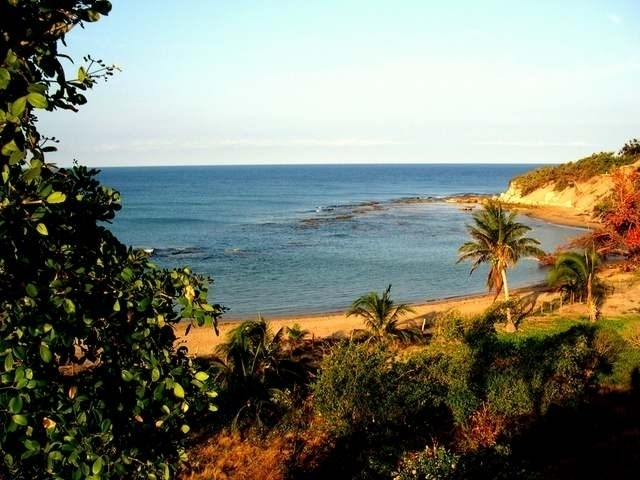 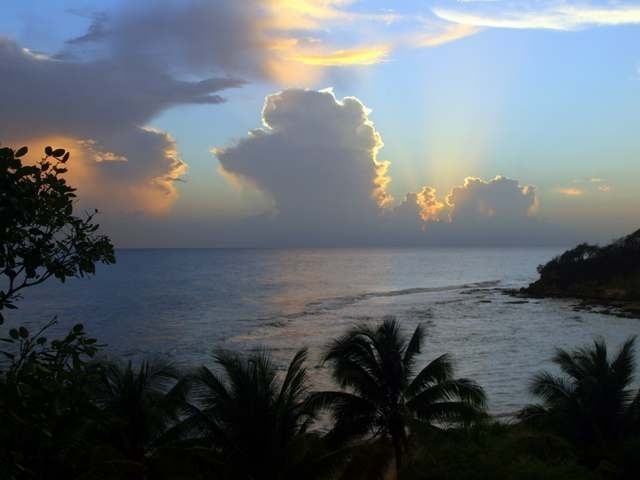 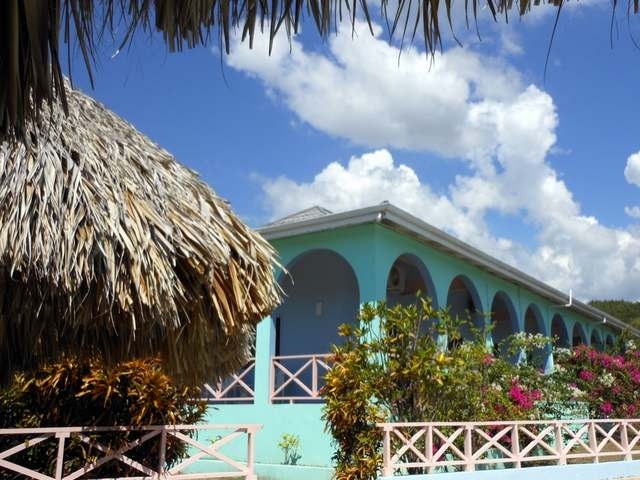 It has easy access to YS Falls, the Black River, Appleton Rum Estate, the Pelican Bar, and much more.